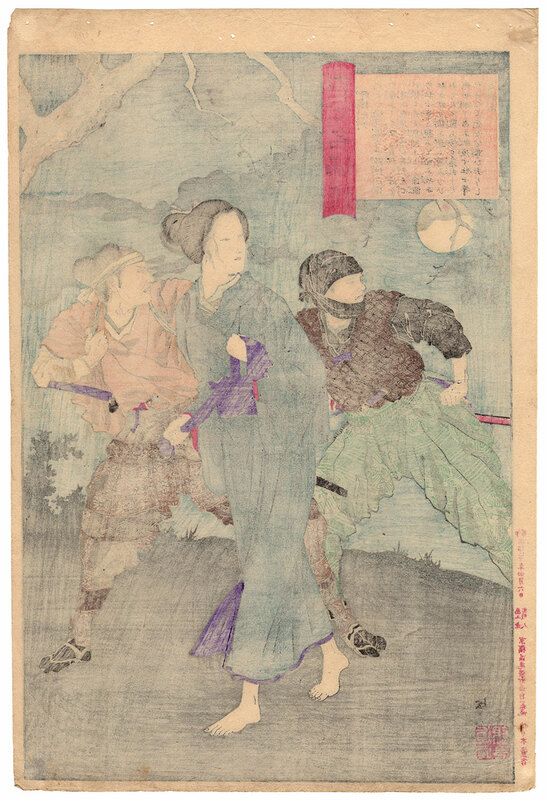 Nomura Motoni (野村望東尼) was a female poet of the late Edo Period (江戸時代) also known for her joining the faction against the Tokugawa shogunate (徳川幕府). At the age of 54 she lost her husband and became a priestess. 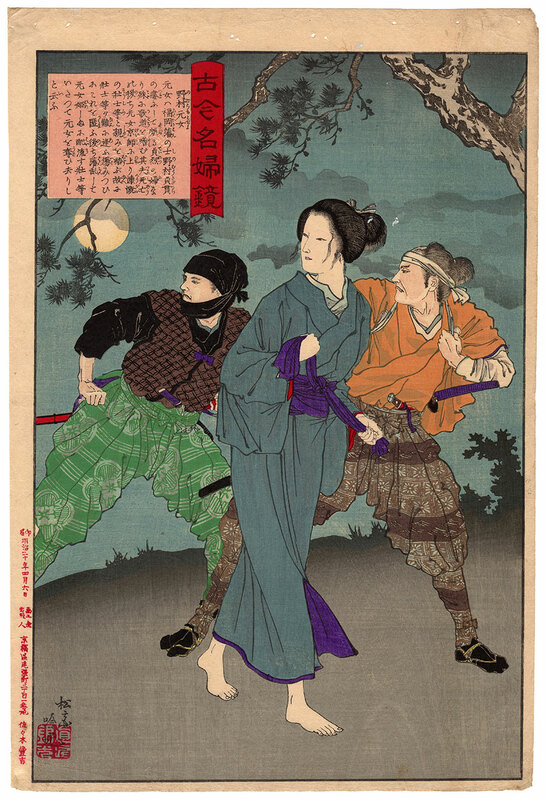 Her support for the imperial forces resulted in an effective effort to hide some samurai who fought the shogun, including the famous Takasugi Shinsaku (高杉晋作). She was therefore arrested by government forces and exiled to the island of Himeshima (姫島). 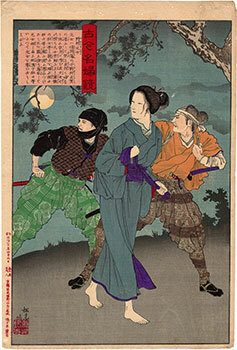 In this rare woodblock print, we see her depicted as being rescued from her exile by Takasugi's warriors. The large vertical format print, produced in 1887 by the publisher Sasaki Toyokichi (佐々木豊吉), is entitled "Nomura Motojo" (野村元女) and is taken from the series "Mirror of Renowned Women from Ancient and Modern Times" (古今名婦鏡), made by the artist Adachi Ginko (安達吟光). The work on Japanese washi paper (和紙), despite the right signs of aging and some imperfections on the margins, is in good general condition.